25/10/2012: Microsoft announces Windows 8 and RT details! CPW leak full Nexus 4 details and much more! 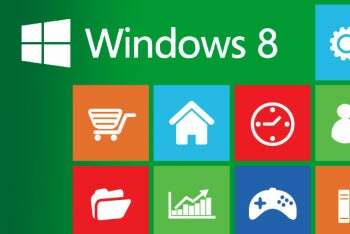 Microsoft announces a slew of Windows 8 details. Microsoft has started introducing their Windows 8 line of devices today! See what they have to say after the jump! They started by saying that Windows RT will be compatible with roughly 420 million ARM based devices from the off! Which is a rather spectacular claim, but most people aren't even sure of the differences between Windows 8 and Windows RT. Something Microsoft sought to explain by saying that Windows RT is a variant of Windows 8 that is compatible with devices running on an ARM processor, this means that these devices will not be able to run the same apps and programs that either Windows 8 or Windows 7 can! The programs the software can run will be built specifically for RT and will be optimised for tablet use! You can pick up your apps of choice of the Windows Store! The company made it clear that Windows RT is aimed primarily at consumers rather than business folk, but the company also thinks that the learning curve will be relatively small for people wanting to try out Windows RT. Unsurprisingly full blown Windows 8 was also on the agenda; Microsoft touted the benefits of Windows 8. Which supposedly include better battery life, faster boot times, and a “smaller memory footprint.” Another big tick for Microsoft is that the vast mahority of Windows 7 programs are compatible with Windows 8! If you wish to upgrade from Windows 7 it'll cost you $39.99 and the update will be available tomorrow! Alternatively, you may wish to purchase a new computer with the software on already! Microsoft has said that there is at least 1,000 computers to choose from if that's your preference! And finally, as if to just reaffirm why Microsoft has been such a successful company they announced how many Windows 7 licenses they've sold up to now. It currently stands at 670 million licences! So about a tenth of the world's population (statistically) had or will have used a Windows 7 powered device! Not too shabby at all Microsoft! The Carphone Warehouse apparently lets the LG Nexus 4 slip a tad early! Residents of the United Kingdom will be very familiar with the Carphone Warehouse with the company seemingly having a shop on every high street! But, aside from offering you a deal on whatever network you want, with whatever phone you want, the company also seems to want to snap up all the preorders for Google's upcoming Nexus 4! Earlier today the guys over at MoDaCo were tipped off that a page was live that advertised the full details of the Nexus! The page was live for all of this morning and part of this afternoon but has now disappeared! It essentially confirmed all of the specs we had heard about before; a Snapdragon S4 processor, 8MP camera, 4.7" IPS display, Jelly Bean 4.2 (It seems we'll have to wait until Monday to find out the exact version because the listing also say Jelly Bean 4.1.2? ), 8GB's of internal storage (with no SD slot!!!) and a variety of other sensors and bits of tech such as NFC! If you're interested CPW will initially sell you the phone on either O2 or Vodafone, with pricing starting at £31 per month on contract if you want the phone for free device. We'll have to wait and see what Google does about selling it SIM Free but there has been a lot of rumours today that it'll be quite cheap in the Play Store! A 3G variant of the Nexus 7 has been spotted heading through the FCC! Just in time for Google's event on Monday! Nintendo's new Wii U console has a starting price of $299. Unfortunately for the company though, this mean that they are selling the entertainment system below cost! We assume the shareholders won't like hearing that! Swiftkey have announced a new keyboard called Swiftkey Flow, if you've ever heard of Swype you'll know the premise of this keyboard! EE has confirmed that they will be getting the 4th Generation iPad and the new iPad Mini running on their 4G network! LG are reportedly working with Gram, the new stewards of Open WebOS, to make a smart TV powered by the platform! LG has reportedly chosen to go with Open WebOS because Google TV is not as well supported at the moment and Gram was willing to help out with a few engineers! Samsung's products always get changed from their international counterparts by America's big carriers, but Verizon may have gone a step to far with their latest invasive branding. As the company splashed their logo on to the Galaxy Note II's home button! We think this is slightly too far! And finally, is this the 'quick start guide' for Samsung's much rumoured Nexus 10 tablet? Monday is starting to look very exciting!